The Nobel Jester left us! 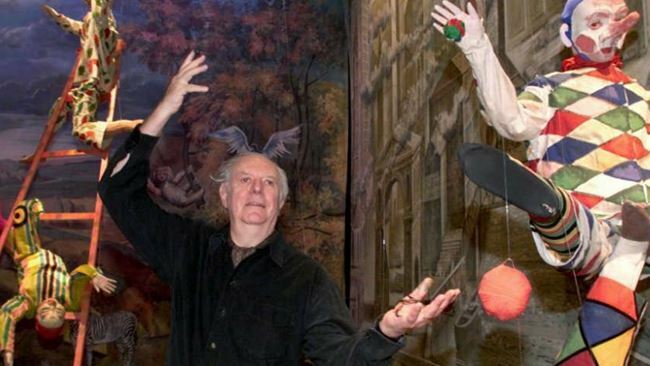 Dario Fo, one of the great actors of world popular theater, passed away at the age of 90 years. The death of Dario Fo, on October 13th, 2016, is a great loss for the European Popular performing arts. Nobel Prize in Literature in 1997 "because, following the tradition of medieval jesters, he mocks the power, restoring dignity to the oppressed", within him the art of buffoon reached very high levels. His shows make use of the stylistic features of the Italian Commedia dell'Arte and they have been successfully represented on 5 continents. 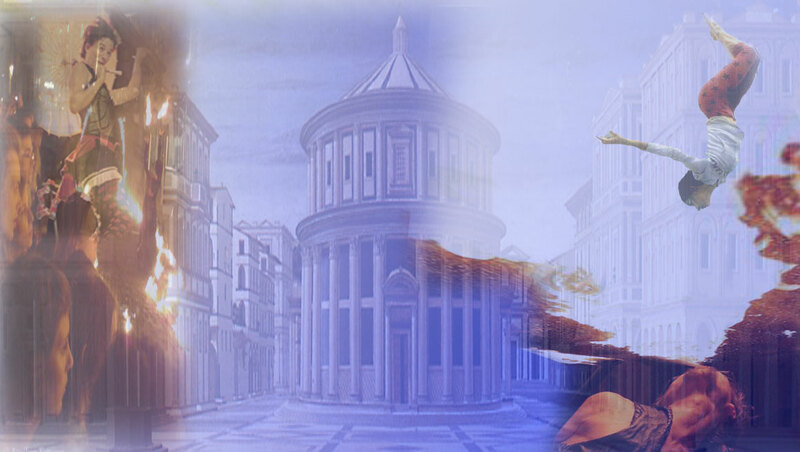 The mythical "Mistero Buffo", a show of 1969, it is one of the best. He was the only actor on stage, recited an imaginative reworking of ancient texts in grammelot, drawing a fun and provocative satire. Dario Fo has stimulated the birth and spread of Italian Street Theatre movement. It has often championed the liberalization of urban spaces in Italian cities, and the political sentiment has always been a foundation of his shows. He was not afraid of death: "If anything happens to me, you must explain that I did everything to stay alive !" Rhodes is at the final selection stage for the title of the European Capital of Culture for the year 2021. 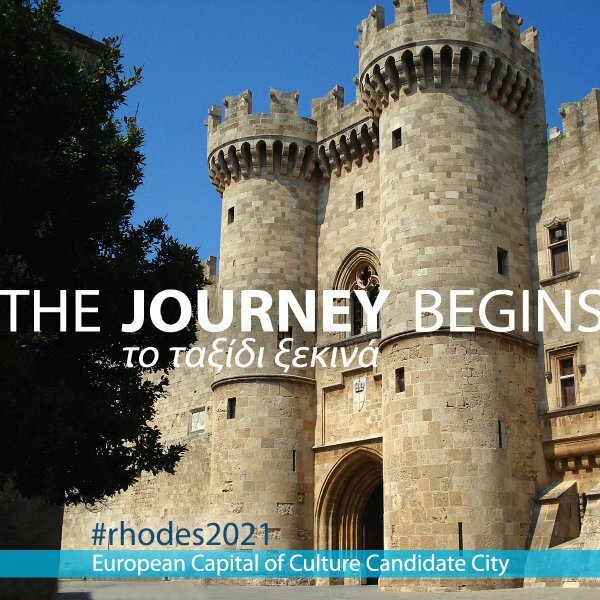 Its Candidacy titled “Rhodes/Dodecanese 2021: Journey to the Light” was pre-selected last February among 14 Greek cities, and now competes with Kalamata and Ellefsina. The winner will be designated this coming November. Open Street aisbl has signed an agreement protocol for cooperation in the project, with the Committee chaired by Nikos Chatzipapas, historical member of the network Open Street, director of the INTERNATIONAL STREET THEATRE FESTIVAL in Athens. 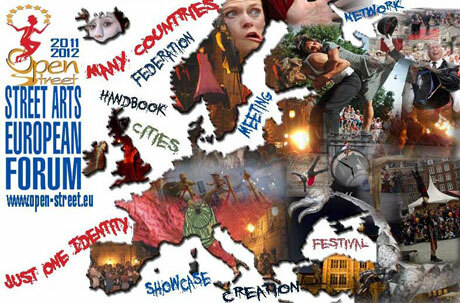 The European Capital of Culture action is part of the Creative Europe Program. It was founded in 1985 by the Greek Minister of Culture, Melina Merkouri, and so far it has been hosted in more than 50 European cities. This initiative has evolved through the years to promote the European identity, cultural diversity, intercultural dialogue, creativity and the Arts. Each year the title is awarded to a city in each of the two member states designated in the calendar included in the aforementioned Decision. Every three years, another city is selected from a candidate or potential candidate country for joining the EU. For example, in 2021 the event will be hosted in Greece, Romania, and Serbia or Montenegro. For the latter two countries, the 2021 European Capital of Culture will be NOVI SAD (RS), which is home to one of the festivals that founded the International Association OPEN STREET aisbl: Internacionální FESTIVAL ULICNIH SVIRACA. This is not a coincidence, in our view, given that the street arts help to make the hosting cities more vibrant, capable of a cultural offer addressed to all social catogories, according to a smart and innovative model. July 2016 is the month in which the last call of the largest European programme for cultural and creative sector it will be published. 2. Enhancing the competitiveness of the cultural and creative sector to promote sustainable and inclusive smart growth. EU co-financing: up to 200,000 euros (up to 60% of total costs). Partnership: at least 1 project leader + 5 partners (5 different countries). EU funding: up to € 2,000,000 (up to 50% of total costs). EU funding: up to 250,000 euros per year (up to 80% of total costs). Duration: up to 4 years. 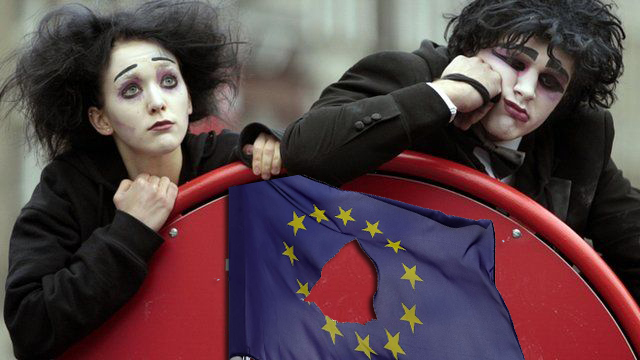 The prospect of leaving the EU has been variously described as a “nightmare”, “artistic isolation” and a “huge creative step backwards” by arts leaders surveyed by the Media. The vast majority of figures contacted from a Gardian Journalists team, and many more responding to a Guardian appeal, said they were against the UK leaving the union for both practical and emotional reasons. Many voiced fears about barriers to the free movement of labour and the loss of access to EU arts funding. Alistair Spalding, chief executive of Sadler’s Wells theatre in London, one of the UK’s most internationally diverse venues, said he could not think of a single advantage to leaving, but foresaw many problems. "There is the nightmare of visa and work permit applications that we have to do. It is less complex for countries in the EU but that would all be thrown up in the air… we would have to bring in more staff to deal with it... Honestly, I don’t think people really understand what a nightmare it is. Leaving Europe, for our business, it’s bad". "Leaving it's disastrous. The biggest thing that has changed in UK orchestras over the past 10 to 20 years is the quality of players coming for audition from outside the UK – it has been hugely positive". Summers said Brexit could mean artistic isolation in the longer term. He said: "Music is an international language. There is no barrier and if we were to lose that free movement I think we could become the land without music". The Barbican’s managing director, Sir Nicholas Kenyon, said: "My approach is: we are all Europeans now if you look at the range of co-productions that we now have that depend on the free movement of talent between European countries". Kenyon stressed that leaving Europe would not mean the end of partnerships and collaborations – "the arts are ingenious, the arts will always find ways of doing things" but added: "Being in is an immense benefit in terms of the possibilities of creating these co-productions". That was a view echoed by the Southbank Centre’s artistic director, Jude Kelly. She said: "We see creative collaboration being supported by remaining part of the EU. I’m not saying it could not happen by being outside the EU, but it would be that much more difficult, that much trickier". Another practical argument in the debate is, of course, money. The Creative Europe fund was established in 2014, and it says it has supported 228 UK cultural and creative organisations and audiovisual companies, and the cinema distribution of 84 UK films in other European countries with grants totalling € 40m (£30m). The remain camp also cites the transformative success of European capital of culture status on cities. The last UK city to hold the title was Liverpool in 2008, and the next one is due in 2023. David Lan, artistic director of the Young Vic, said the UK had much to learn from Europe. "Many of the European theatre companies are way ahead of us in terms of imagination, sophistication, intelligence, skill, acting … certainly in terms of how to run a company effectively – way ahead of us". "We don't be part of that, we don't fall into the old slogan ‘we know better’, the same old complacencies…" he concluded. The results of the call EACEA 29/2015 on European Cooperation Projects were published. On a total of 529 projects, submitted by 36 countries participating in the program, 66 of them, between Small and Large Scale, were financed. 50% of them are in the field of Performing Arts !!! Regarding the Small Scale, 51 projects (24 on Performing Arts) were selected out of 404 submitted by 36 countries, for a total of 9,847,360.77 Euros: France is leader in 10 selected projects, followed by UK (7) and Italy (6). Italy is leader in presence, having 31 partners in the selected projects, followed by France (28) and UK (20). Regarding the Large Scale, 15 projects (8 on Performing Arts) were selected out of 125 submitted by 24 countries, for a total of 27.291.922,27 Euros: France is leader in 4 selected projects, followed by Germany (3) and Italy (2). 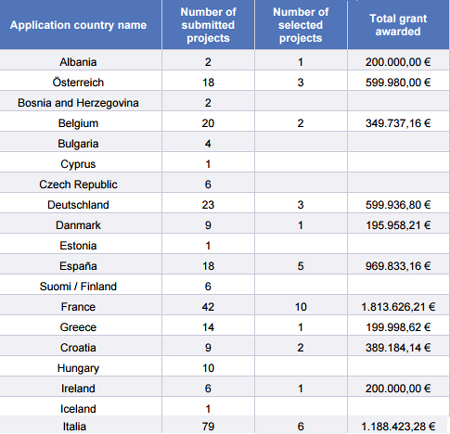 France and Belgium are present with 17 partners each in selected projects, followed by Germany (14) and Italy (11). The results of the 2016 call on Cooperation Projects demonstrate an increasingly competitive environment and a clear detachment of four nations - France, Italy, United Kingdom and Germany - which are characterized by a good representation among the selected projects, compared with other European countries, that indeed act on more modest numbers. A reflection must also be done about the proportion between the number of countries that have sent a project and the number of countries that in this last call has received a co-financing, which clearly results uneven in its distribution: for the Small-scale, 17 participating nations on 36 have received a grant; for Large-scale, only 9 of 24 nations have their projects selected. 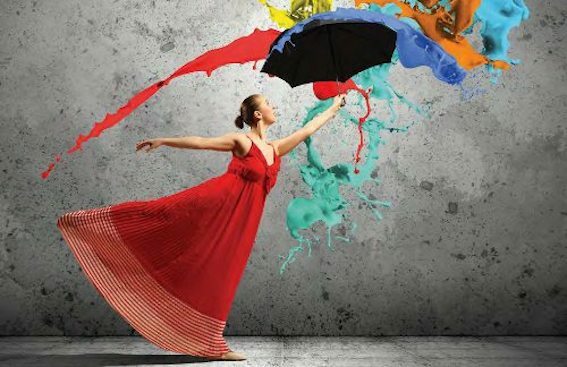 The call for cooperation is an undoubted opportunity for all operators in the European cultural and creative sector, and includes projects based on networking activity, with a balanced and equitable international partnership. Also, eligible projects may not, by their very nature, support national activities, but must provide for cooperation activities focused on transnational mobility, audience development, capacity building, digitizing, creation of new patterns of cultural business, education and training. The next call on the European Cooperation Projects will be published in July 2016.